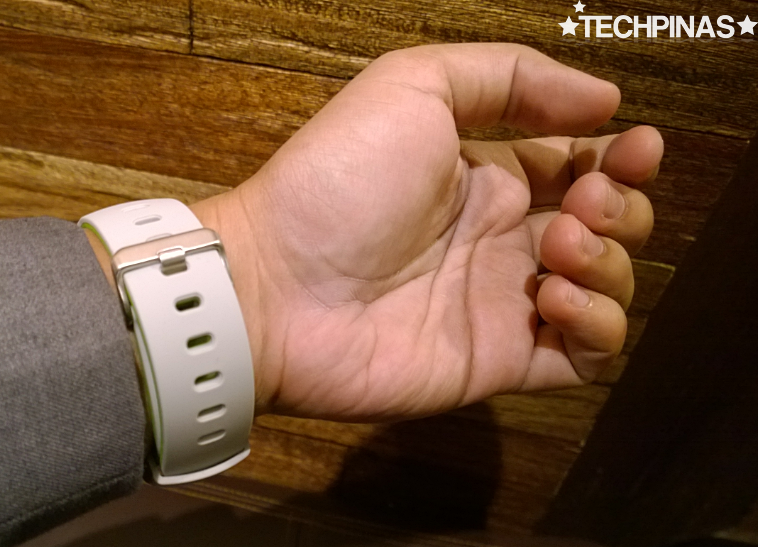 For those who are asking, this is the newest smartwatch in my wearable gadgets collection. Priced at only Php 3,990 and capable of being paired with any Bluetooth-enabled Android smartphone running KitKat or Lollipop and any iPhone with iOS7 operating system and above, Playground BW300 is not only affordable but is also eye-catching and feature-packed. It's very easy to use so I wouldn't want to give you a complicated feature. Instead, let me share with you the five simple things about the BW300 that I thoroughly appreciate as a gadget enthusiast. First, as you can see in these photos, it's cute. The bold-yet-slim design and the grey-and-green color combination exudes an air of fun and youthfulness with notable subtlety; It's hip but you can actually wear this with a suit -- if you're cool enough to pull it off. Second, it's durable. Featuring a tough polycarbonate body and a high-quality composite rubber strap, Playground BW300 can definitely take the knocks and bumps of daily use. It's also IP67 certified water-resistant so you wear it while you're doing your extreme activities involving water and sweat. Note, however, that it's only protected against water ingress when immersed in up to 1 meter of liquid. 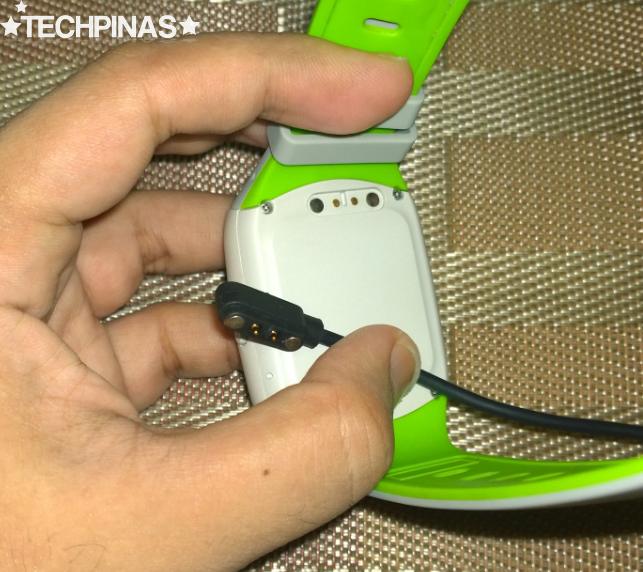 That's the magnetic charging port tucked neatly at the back of the device. Third, it has good uptime. Compared to other smartwatches that have only around 8 hours of battery life, BW300 delivers up to two days of mixed usage on a full charge. Fourth, as I've said, it's feature-packed. When paired with the MediaTek Smartdevice application that you can download for free via Google Play Store or Apple App Store, BW300 can notify you with alarms whenever your smartphone receives text messages or calls or if you get interactions from your friends and followers on your social media accounts. 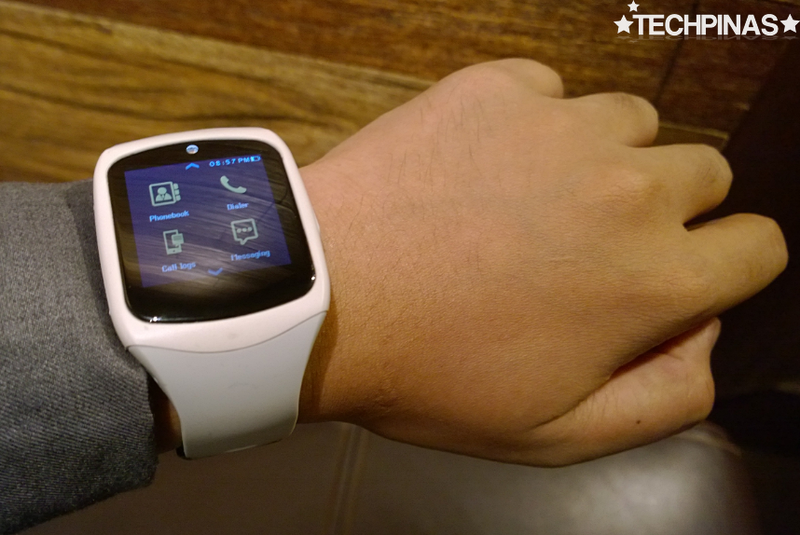 You may also use to it to make calls or read text messages right on the watch's screen. BW300 also has cool capabilities as an independent gadget - that is, when it's not paired with a handset - including its Pedometer function and Alarm Clock with Vibrate notification feature. 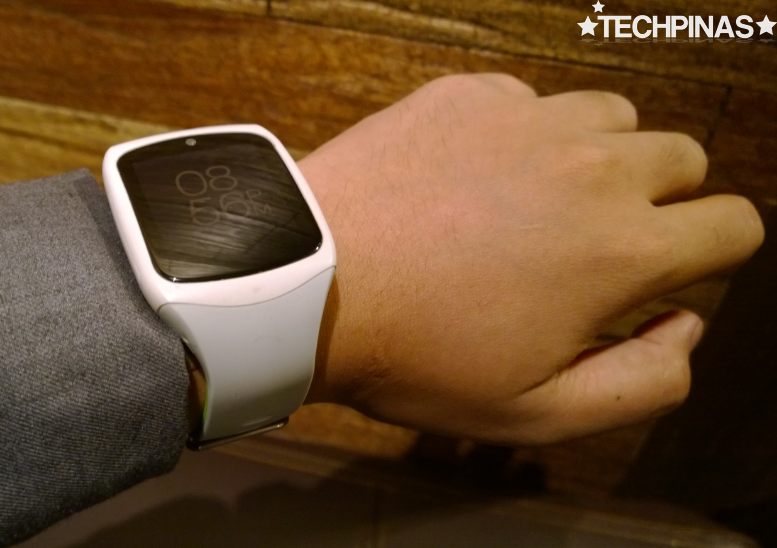 The key technical specifications of the smartwatch are printed at the bottom of the box. 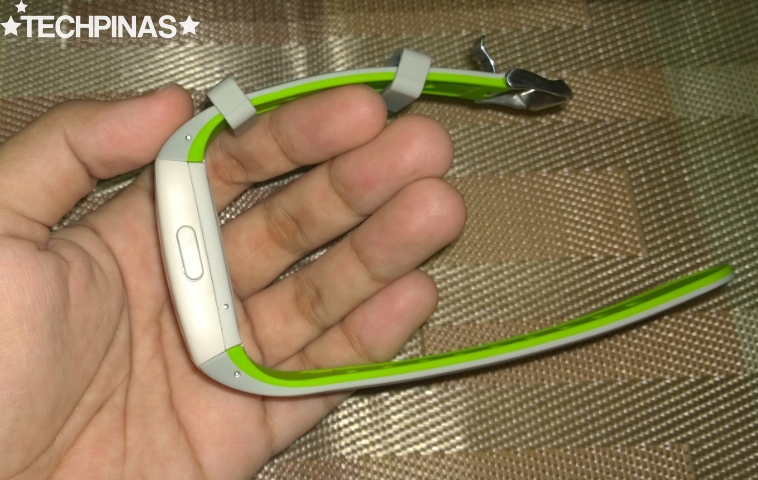 This Bluetooth 4.0 wearable is equipped with a 1.6-inch 240 x 240 pixels transflective capacitive touchscreen display that's readable even under direct sunlight and it runs on a MediaTek MT2502 chipset. Finally, I love the fact that it's very budget-friendly, which means that more Pinoy consumers - including students and yuppies - can enjoy it. 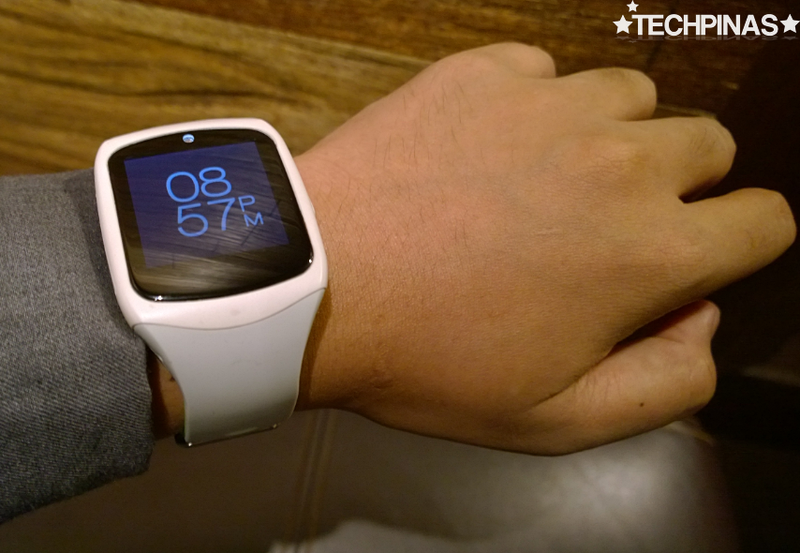 See, a good smartwatch doesn't have to cost an arm and a leg. BW300 is affordable and it already allows you to experience many features that far more expensive models have. If you wish so, you may also use it like a regular big-screen watch. 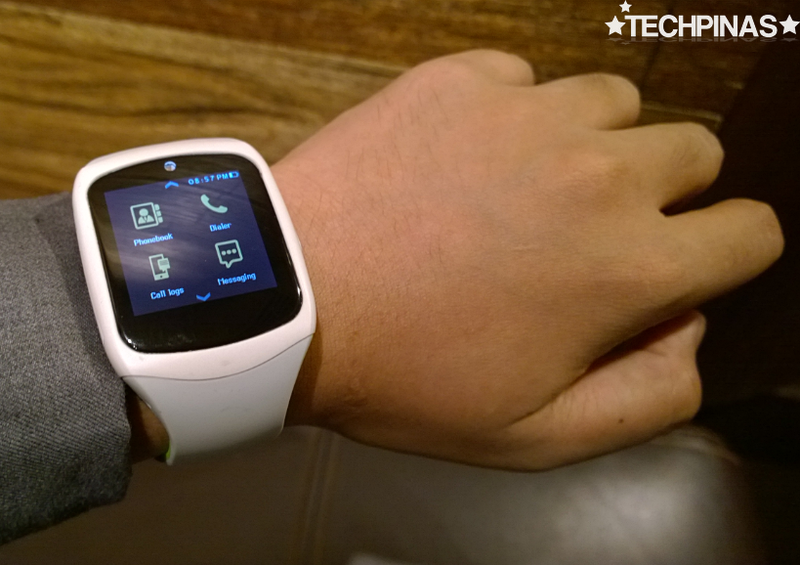 Just turn off Bluetooth connection and avoid pressing the device's sole hardware button, which activates the swatchwatch interface. In this low-power-consumption mode, you can get around 4 days of uptime from the BW300. 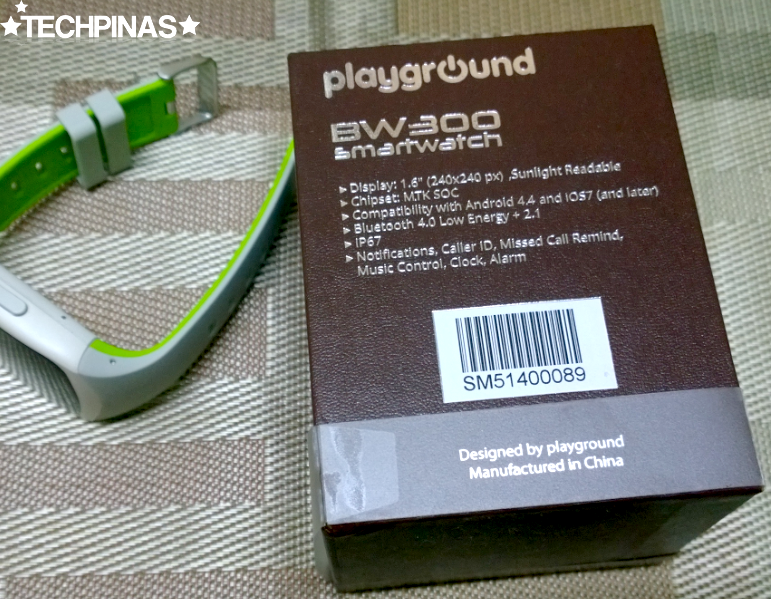 Playground is a Proudly-Pinoy gadget company whose products are now available at all major malls across the country. 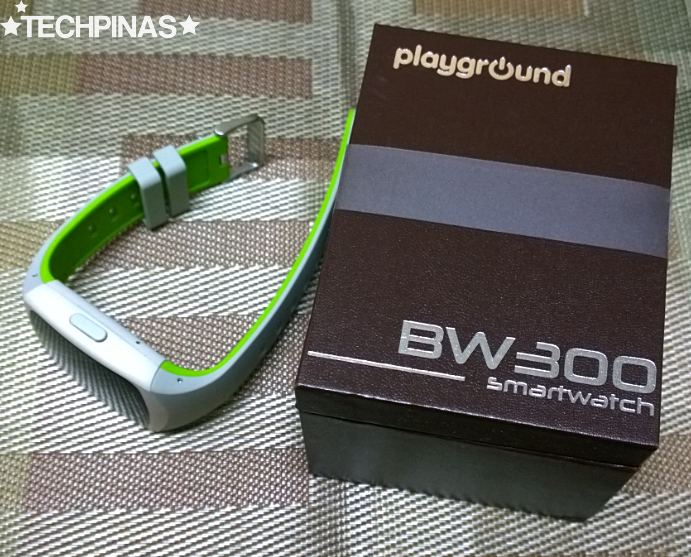 To know if there's a gadget store carrying the Playground BW300 smartwatch in your city or province, feel free to get in touch with the company via www.twitter.com/playgroundph or www.facebook.com/playground.ph.